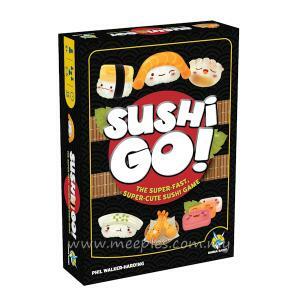 Board Games List:Sushi Go Party! 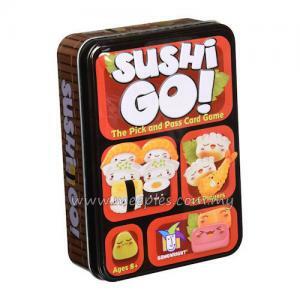 It's a party platter of mega maki, super sashimi, and endless edamame in this expanded version of the best-selling card drafting game, Sushi Go!. You still earn points by picking winning sushi combos, but now in Sushi Go Party!, you can customize each game by choosing a la carte from a menu of more than 20 delectable dishes. 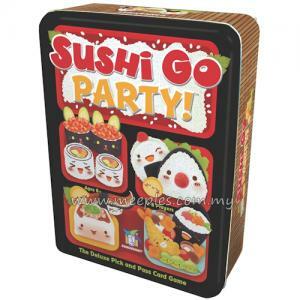 What’s more, up to 8 players can join in on the sushi-feast… let the good times roll!